Classes are usually at our shop Booker Flowers and Gifts, 7 Booker Avenue, Liverpool, L18 4QY. 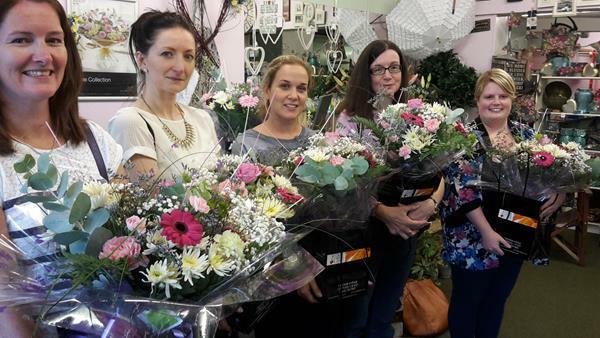 By our experienced and qualified florists. You can book a class for yourself or as a gift for someone else - makes a great Christmas Gift or Birthday Gift! Gift Vouchers will be sent out for classes booked as a gift. Join us for a fun evening of floristry on 21st May which will cover a selection of different floral techniques. This evening is being held at the amazing Liverpool Venue Siren. Learn how to make an arrangement made with lots of lovely English Flowers which you can take home and enjoy. The evening also includes a selection of delicious food and a drink. 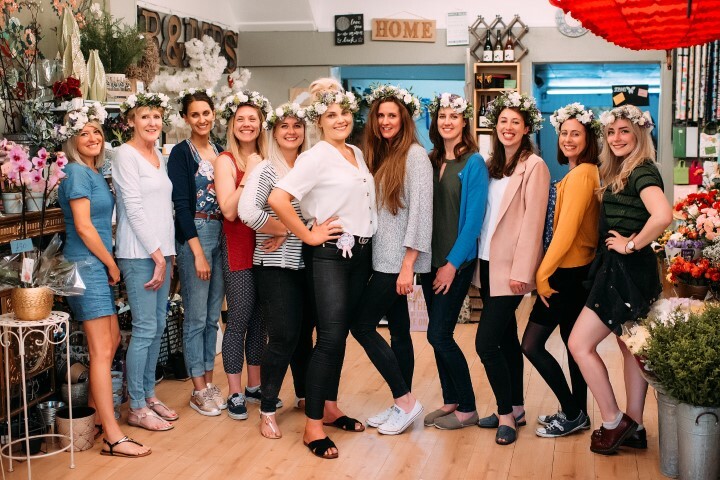 This class is a fun way to learn about flower arranging from a professional Florist in an amazing location in Liverpool. The class is £55 and includes all flowers, containers and sundries (which you will take away with you) together with food and drink and is being held at Siren at 54 St James Street Liverpool L1 0AB. Payment in full is needed at time of booking together with any dietary requirements such as vegetarian, vegan, gluten free, any allergies etc*. Click below to book and pay for the flower school evening class online or call us on Tel: 0151 724 4850 to reserve your place. Places are limited so book now to avoid disappointment! 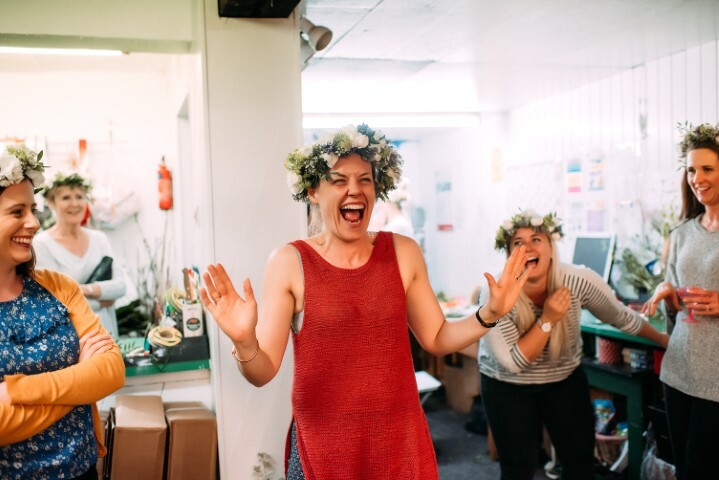 Please note: If you have already purchased a Flower School Gift Voucher, then you just need to pay £15 for this evening. 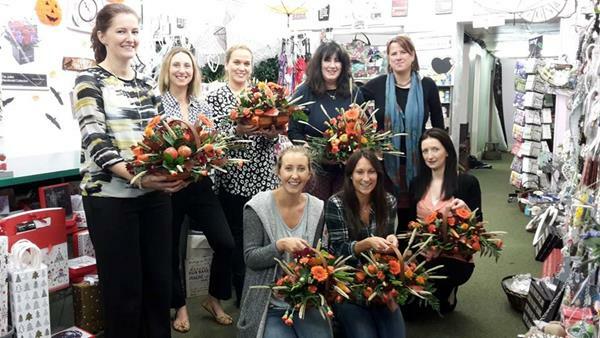 Join us for a fun floristry evening class on 19th June which will cover a selection of different floral techniques. 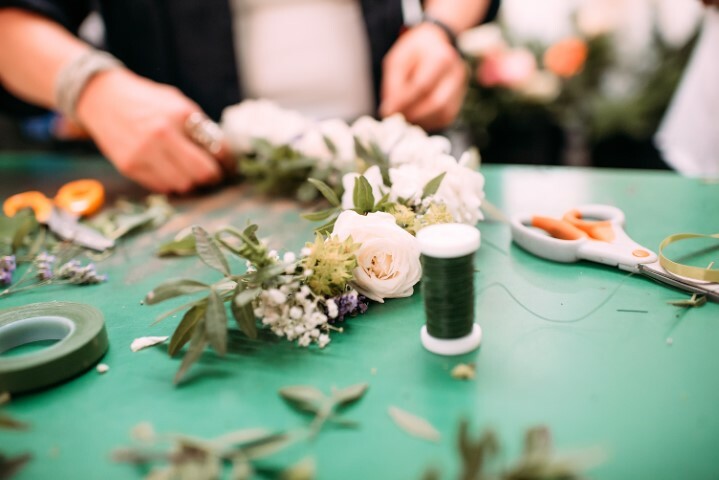 Learn how to make a Handtied Bouquet using fresh British Flowers to celebrate British Flowers Week which you can take home and enjoy. This class is a fun way to learn about flower arranging from a professional Florist. The class is £40 and includes all flowers, containers and sundries (which you will take away with you) and is being held at our shop premises at 7 Booker Avenue, L18 4QY. Payment in full is needed at time of booking*. 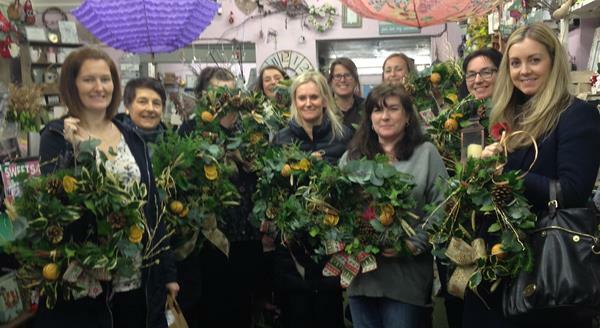 If you can't come to any of our classes - subscribe to our You Tube channel to see our flower school demonstrations Booker Flowers School - Flower School Liverpool - You Tube Channel and learn lots of tips and tricks of the trade.